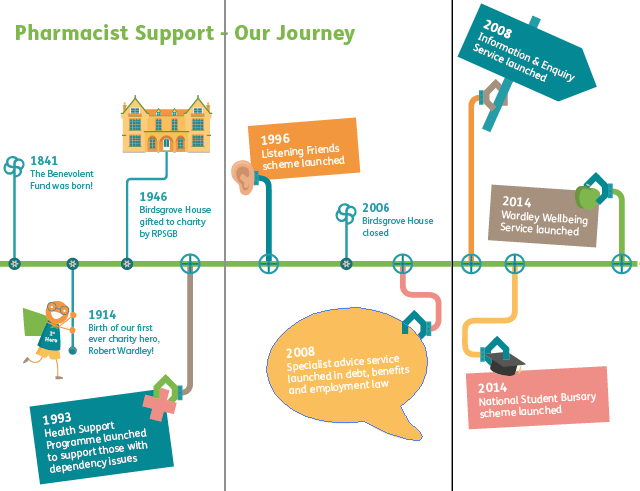 We’ve been busy behind the scenes with our 175 preparations, and one of our projects is the Pharmacist Support Timeline! To celebrate 175 years as the profession’s charity, we’ve been looking back through the years at landmark dates in our history. Some of our highlights have included the birth of our first ever 175 Hero, Robert Wardley, becoming an independent charity, and the launch of our various services designed to provide care and support to those in the profession. A lot has changed since 1841, and we want to share our stories, as well as those of our service users. The timeline is a project that we plan to continuously update, fleshing out the past 175 years as well as what we get up to in 2016. Click here to view. We want you to get involved too! Do you have any stories, photos or memories of Pharmacist Support/The Benevolent Fund? Share them with us in an email to marketing@pharmacistsupport.org and be part of our 175 Story!